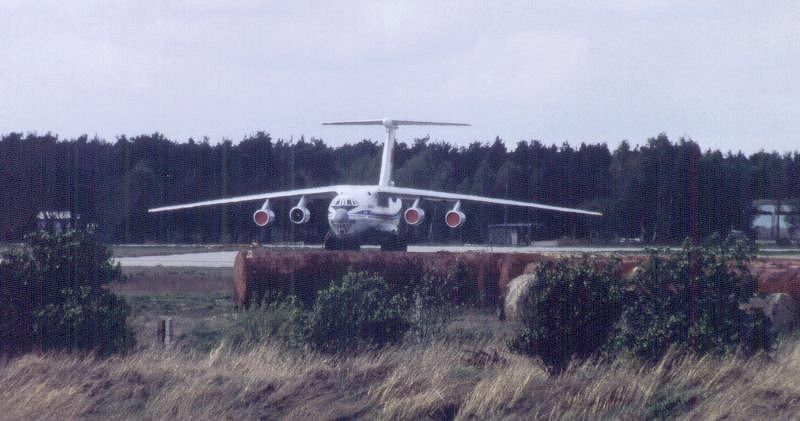 Il 76 transports were often seen on bases preparing to withdraw. On this day, two were present. Interesting are the fuel tanks in the foreground, dug up some time earlier.